100 years ago an event happened that changed the world. 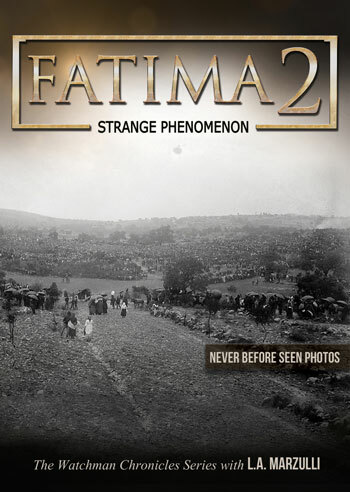 Upwards of 100,000 were gathered in the little village of Fatima, Portugal. They were told, by an apparition that had appeared to three children—what many believed to be Mary of the Bible—that a miracle would occur. Something happened on October 13, 1917 and thousands of people witnessed it… It was called, The Miracle of the Sun. 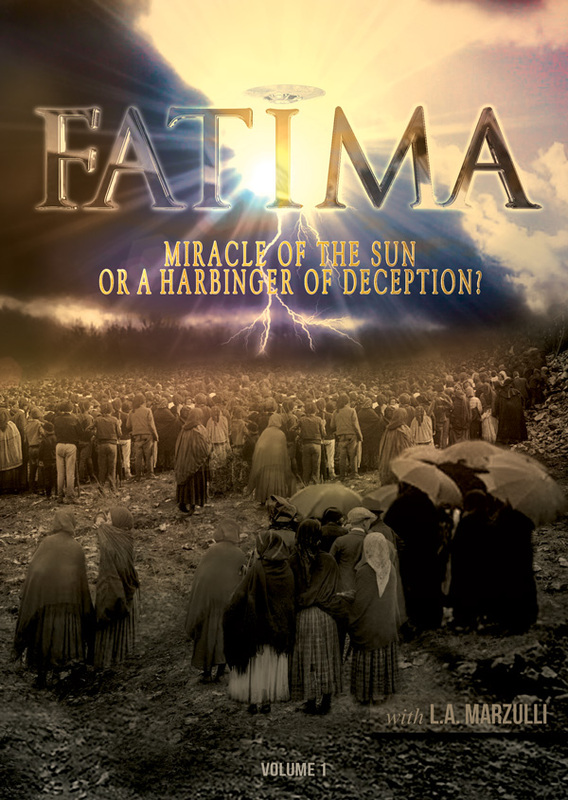 The Watchman Chronicles presents FATIMA – Mary of the Bible or a Harbinger of Deception? What did the witnesses in 1917 really see? Why was the “lady” wearing a skirt that fell just below her knees… something not even prostitutes of the time were seen in. Why did the apparition only speak telepathically with the children? What happened to the original testimonies of the witnesses taken 1919? Why was the main seer Lucia cloistered with a vow of silence for almost 2 decades? Why did the Jesuits remove the original testimonies and why are they no longer accessible to researchers? From The Mail Bag! UFO Update – Interdimensional Portal? I wanted to share with you a dream my mom had about the coming great deception. I’m going by memory of what she told me over Christmas break when around the time she had this dream. So she said” (she)was at some kind of get together with a large group of people while hanging out in an open field. She was sitting next to her husband all of a sudden a large craft that took up the whole sky appeared and sat there in awe for a few minutes then disappeared!” Her husband responded in the dream saying “how can you deny that? !” Then soon woke up from the dream. 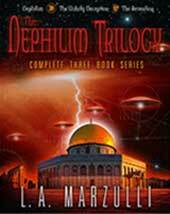 I have written about what I have come to call The Coming Great Deception, since the first book of the Nephilim Trilogy. Week after week the Ancient Alien show, on the History Channel, promulgates the idea that we were visited by extraterrestrials. The show will point to ancient megalithic structures, like the Great Pyramid or the Herculean stone walls of Sacsayjuaman, in Peru. They investigate crop circles and of course show what appears to real physical evidence of intruders/aliens coming to earth. We also showed this in our award wining Watchers 7 film! Four-fingered hand prints on the wall that fluoresced under UV light and implants that we removed at Seal Lab, in other words real, physical evidence that an outside agency—think fallen angels here—are visiting us and are engaged in nefarious activity. …and what about UFOs? While we may disagree as to where they come from we can agree that they are real, burgeoning and not going away! We are told in the Biblical Prophetic narrative that there will be a one world religious system. This begs the question, how in the world are we going to get 7 billion people on this planet to embrace this? I think this hinges on Darwinism and here’s why. Darwinism tells us that there is no supernatural, no God of the Bible, no spontaneous creation, from nothing, i.e. ex nihilo. It creates a void in its adherents and thus never addresses the question, where does life originate from? In Ben Stein’s must-see movie, Expelled, we see Stein sitting down with Darwinist Richard Dawkins. Stein poses the question, where did the first self-replicating molecule come from. It is clear that Dawkins doesn’t have a clue, and he’s right when he states that no one else does either. Then, Dawkins launches into a diatribe about how life may have been seeded here. This is the world-view that is now set in place to accept the coming Strong Delusion that the Bible warns us will come in the last days. UFOs continue to appear over the skies of the world with impunity. Pilots report seeing mile wide craft! What are we to make of this? This dream that Ozzie wrote in to me about (Please email me your stories at la@ppsreport.com) is just one of many that I have received over the years. I call them warning dreams and I would posit that Our Father is sending them to us to warn us of what is coming. The Great Deception will be just that. It will change the world-view of many people instantaneously. In other words, unless a person knows what he or she is looking at priori, they will believe what they see. A few nights ago a friend of mine who lives in the next canyon over, and whose house is perched about 500 feet above the Pacific Ocean—he has one of the best panoramic ocean views in town—called me and told me he had seen a UFO darting across the night-skies over the water. He relayed that the craft shot back and forth over and over again and that he was mesmerized as he watched it. I informed him that he needed to rebuke first and ask questions later. These intruders and the vehicles they ride in are not going to go away. We need to understand that the Ancient Alien Crowd, new-agers, channelers like those who contact The Ashtar Command, UFO contactees, and countless others will embrace the deception and in fact are helping to promulgate it. The video above which appears to show an inter dimensional portal opening if real, is astonishing and should be a wake up call to the church. We are admonished by Paul that The Fallen Cherub will come: with all sings and lying wonders. Do we really take to heart these words of warning or do we dismiss them? What is the truth? That Yeshua created all things and without him nothing that was made was made. What is the lie? That we were created, seeded here by ET. The Great Deception is Coming folks. The signs are all around us. Here is a link to MUFON’s reported Sightings! Over the past few years, we are increasingly hearing accounts about sightings, abductions, alien beings, cattle mutilations — you name it. To most people, this is the stuff of fantasy and some might get angry if you try to talk about these things with them. 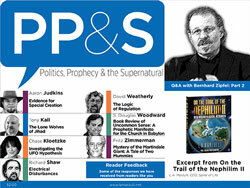 The only established organization in the world today that has taught about the supernatural has been the church. In this century, most of the churches have become corporate centers of religious dogma, not interested in studying actual manifestations of strange “miracles” or searching for evidence of the supernatural in today’s world. Many of them believe that time has passed — that it was written about thousands of years ago and no longer applies today. However, there seem to be clues opening up that are difficult to ignore. A thinking person can see these parallels to ancient texts or other forensic evidence around the world. The world and our universe are vastly more interesting places than what we have imagined. We have to grow up and try to understand the incredible things that God has designed: so complex that they stagger the imagination. 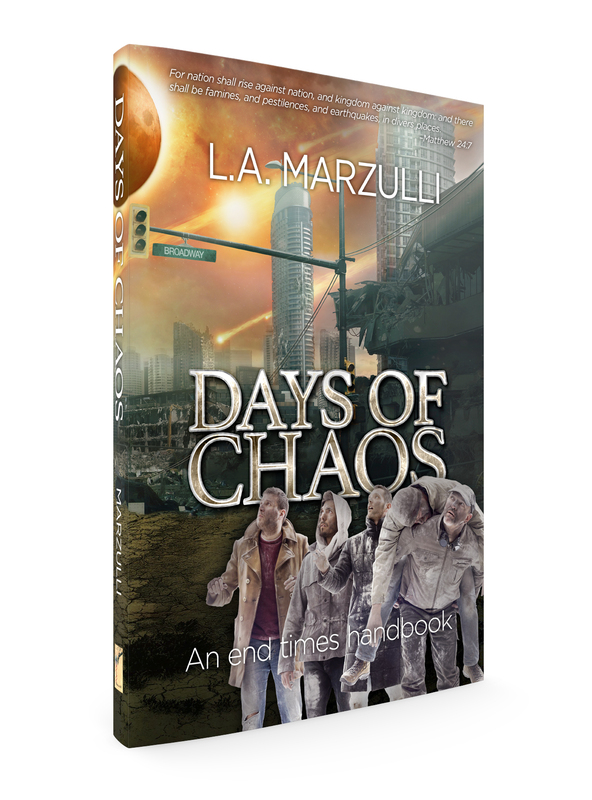 L.A., the author of this book and the host of the Watchers series, and I have worked closely together for the past few years. I’ve considered it a real privilege. This began for me in 2010 when I agreed to direct the first video in the series on UFOs on a shoestring budget. I never thought the series would take off as it has, but in doing these productions we’ve been exposed to things on a routine basis that have led us to realize certain truths. We now see evidence that perhaps the same entities that were on this earth thousands of years ago are back at it again. These are not the ramblings of deranged minds. L.A. and I are connected with some of the most highly respected, genius-level scientists, physicists, computer science professors, Torah Code experts, doctors and inventors on the planet. None of this information seems unbelievable to them. We all talk the same language and have built up a certain camaraderie together in that we don’t have to tear down a wall of prejudice before we can have a discussion. We all know something is happening. It is the most interesting time in human history to be alive. We know so very little about our ancient past, and powerful corporations in the world are heavily involved in keeping that history a secret to the masses. Those corporations are covering up any physical evidence that someone could easily point to in proof of strange entities and ignoring the idea that incredible technologies have existed on this planet for thousands of years prior to our current existence. 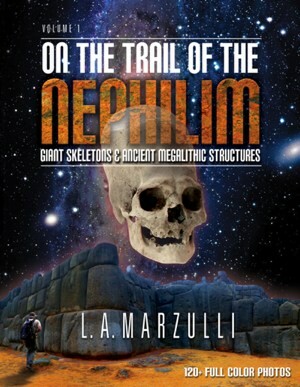 We are just now beginning to see evidence of this, both in unearthing giant bones in Peru, or in examining the megalithic structures there, as well as studying UFOs and the way they are able to fly without any sound and at what appears to be tremendous speeds. We are aware of case after case after case — thousands of them — that report what it’s like to be abducted and what happens to people during that process. We also can look into various biblical texts that once seemed obscure and now are beginning to make sense as we continue to study the current phenomena and see what these beings are actually capable of. I also realize that this is a lot for someone to take in for the first time, so if that describes you, please bear with me. 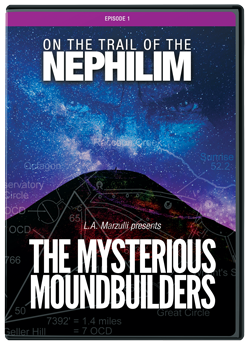 Case in point is the construction of huge structures around the world that seem so mysterious and yet have been built on ley lines that correspond to magnetic fields or lines of force on the earth’s surface. 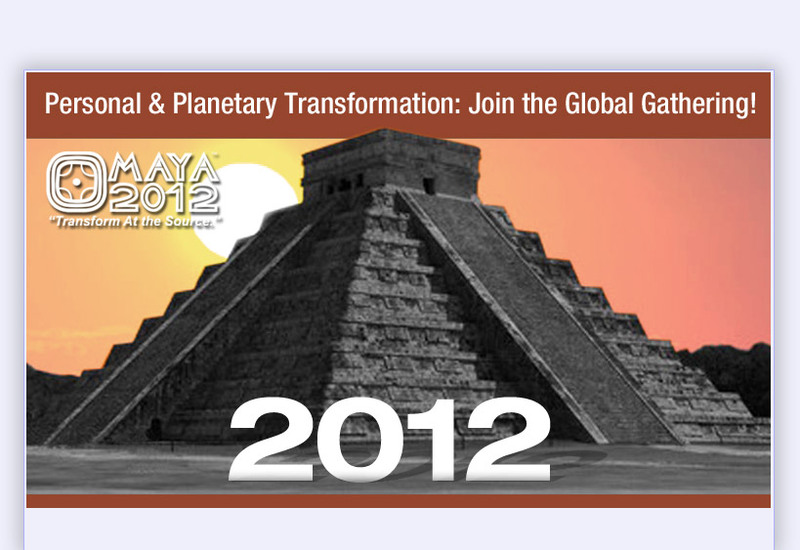 Many of the ancient structures we now know were positioned with great accuracy to the stars or constellations. Some have openings where the sun can shine through exactly at the equinox, just like an Indiana Jones movie. Structures that are in alignment in some important way exist in many places all over the world. When we were in Peru, we saw stones weighing over 125 tons that were precisely set into place, without any apparent damage or abrasion to their surfaces. These stones were handled with great precision and you might also assume with some delicacy. The idea that thousands of slaves using logs and ropes did this work now seems completely ludicrous. We have to open our minds to new possibilities that a technology unknown to us was used in the process. Recently, I had the privilege of speaking with retired Air Force Captain Robert Salas. His duties in 1967 put him at Oscar Flight, a military base that housed 10 nuclear ballistic missile silos. Each of these massive missiles had targeting equipment located underground to control the execution of their possible launch and the coordinates where they would deliver their lethal payload in case of a nuclear war. The ’60s were a very tense time. It was the first time the world was brought to the brink of possible annihilation due to the Cuban Missile Crisis, instigated by the Soviet Union’s secret installation of ballistic missiles in Cuba. Fortunately, cooler heads prevailed in our government and the crisis was averted. The build-up of missile technology increased after that, and so did the destructive capabilities of the warheads themselves, soon eclipsing many times the destructive power of the bombs dropped on Hiroshima and Nagasaki. During the ’50s and ’60s, nuclear tests were conducted by the U.S. and the U.S.S.R. on a routine basis with warhead power multiplied to unheard of potential. One day in 1967, Captain Salas got a phone call from one of the men on the base saying that there was a glowing red ship that was hovering over their missile silos. This also happened at another base known as Echo Flight. In mere seconds, the missiles were deactivated in one cascading sweep. At one of the bases, over 100 rounds of ammo were fired at the ship with no affect. A soldier decided to climb into one of the silos as all this was going on to try and reactivate the electronics to the missile. His report, which was only recently declassified, describes that his whole body seemed to be tingling with some kind of electrical energy — like static electricity. “They knew exactly how our systems worked and what to do to disable them,” according to Capt. Salas. During an inspection after the ship left, the missile systems were found to not be permanently damaged and were back online a couple days later. Curiously, the “lids” on these silos were lifted off and laid to one side. Perhaps you’ve seen videos of what these “lids” look like. They are made of concrete and weigh 20 tons, sliding back and away on steel rails. They slide open just before a missile launches. These were lifted off of their tracks and set on the ground, as easily as tiddlywinks. These events left a lasting impression on all involved, but the military told them all not to speak about this event to anyone else, and were ordered to forget about it. This is our first parallel to the Peru stones. A 20-ton concrete lid to a missile silo is much lighter than the stones we found in Peru. However, could the same technology have been used in 1967 that may have lifted the stones in Cusco? Twenty tons are equivalent to the weight of six and a quarter Corvette cars, all stacked on top of each other. Dr. David Jacobs is a man who has studied the abduction phenomenon for almost 40 years. He described in our interview what happens to most people when they experience an abduction. This story repeats time and time again and is corroborated by people who have never met and who live on the opposite side of the world. Dr. Jacobs, like others we also know, uses hypnotherapy to help people remember their experiences once they have been abducted. This is not deep hypnosis like you see in old movies in which someone has a needle passed through his hand. This is more or less a relaxation technique to help the subject remember. The subject is in complete control of his mind. Some – not all – abductees receive an implant during their abduction, or various tests are performed on their bodies. In some cases, these tests can be excruciatingly painful. Dr. Jacobs has a room at his house that is filled with miniature filing drawers, each labeled with a name of an abductee. In listening further to Captain Salas’ latest announcement, he revealed that he was abducted in 1985 at his home in Manhattan Beach, California. His story had many of the same points of the classic abduction scenarios. He just released a book on his experience, a brave thing for a former military officer to do. He was in bed with his wife when he noticed a blue light in the adjacent room. When I asked him about this light, I wanted to know if it was a light source that he saw, or if the adjacent room was bathed in blue light. His wife was there also, and they described the scene as an alien creature, darkly lit, was standing in the doorway. The blue light seemed to be part of a fog, a “mist,” that wafted into the bedroom. Salas became paralyzed and his wife lay unconscious during the event, at which time he felt himself floating upwards and drifting towards the window. In his mind, he began wondering how they were going to open it. It was a double hung window that was locked. He remembered passing through the closed window, but when asked if he saw a light on the other side, that’s where his memory ended until he was on the spacecraft. He said that he only remembers snippets of information, with one painful event being that he was shown a needle “between 8 and 12 inches long.” They held this needle in front of his eyes so he could see it, and then inserted it into “a particularly sensitive area” that caused excruciating pain. When he complained, the pain instantly stopped. Dr. Roger Leir is an expert on the abduction phenomenon as well as in the area of alien implants. He has surgically removed 17 of these over the years and also knows the details of many people’s abduction experiences. As we have shown in Watchers, many of the implants that are surgically removed have carbon nanotubes inside of them. Before removal, most of the implants he has removed seem to display similar characteristics. They often emit a radio signal that is at a very high frequency, many times above 300 GHz. They also tend to put out a magnetic signature that can be read on portable measuring devices. In one recent case that I was filming, Dr. Leir measured the Gauss reading of my camera, a Canon 60D DSLR. It registered about nine milli-Gauss. The patient nearby who had an implant had recently had a CAT scan as well as five x-rays of the implant, so we knew exactly where it was located in his leg. We also knew that the implant was about six millimeters in length, about the thickness of a pencil lead, and located near the bone. When Dr. Leir checked to see if it was emitting a magnetic field, the device registered close to seven milli-Gauss, only two milli-Gauss less than my camera that is powered by a lithium ion battery. As Dr. Leir’s measuring device was moved away from the implant, the reading fell dramatically, proving that this was not a fluke but that the implant was generating a magnetic field. Later tests on the same implant proved it also was generating a radio signal of approximately 333 GHz. A by-product of a so-called “visitation” can manifest itself as a magnetic field appearing where normally one would not exist. This can mean that wooden objects such as a tree or even a Formica countertop can register on the Gauss meter. There have been reports of the ground spontaneously catching fire after a ship has touched down on that area. spare time, Steve as a fluke just thought he would take some magnetic field measurements in the garden of Jaime’s studio. His instrument, with L.A. and me watching the process, went crazy. We all thought there was something wrong with the device. So I pulled a new battery from my camera kit and put it in the Gauss meter so Steve could try it again. The needle on the meter pegged, even when putting it near Jaime’s plants in the garden. We then decided to walk out the front door and measure anything along the sidewalk and the driveway. The driveway put out an enormous magnetic signature. This was a normal concrete driveway. Because of what appeared to be erroneous readings we stopped doing this, thinking that the meter was somehow broken. The next day, back at our hotel, we tried the same tests with the same instrument to see if the garden around our hotel also registered any magnetism on the plants there. The device registered nothing. They acted like normal plants: no residual magnetic signature. The logical question remained: was Jaime’s studio being visited because of the work he’s doing? Another interesting thing happened during one abduction that I am familiar with. The man who was abducted was sleeping next to his wife. He was taken and his wife was left. Later, the mattress material was tested and found magnetized on his side of the bed, but not on the side his wife was sleeping on. Normally, a mattress isn’t magnetic. data about these experiments, I have been making comparisons to the Scriptures. What is usually referred to as “supernatural” may be coming to light with us possibly being able to understand more fully what is really going on and that the Bible is merely relating actual facts that are repeatable if we knew how they work. In the New Testament, Yeshua relates in Matthew 24 about angels coming for the elect during the time of the end. These angels, I would assume, would have identical powers that modern so-called ETs probably have. If so, then His statement about various people doing different things, “One will be taken and the other left…” could be directly correlated to what we are studying scientifically with laboratory test equipment. Perhaps during this process described in the Scriptures, we might expect nearby people to become incapacitated as well: paralyzed temporarily, if you will, as the other is “taken.” This might also help us understand how so many people could simply disappear without any human intervention to prevent it. 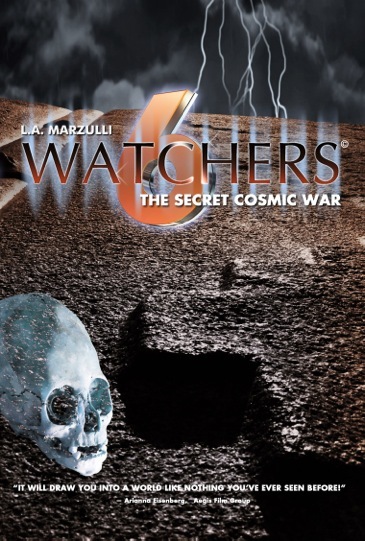 Watchers 7 DVD ($20.00) and the companion book Further Evidence ($24.95) by L. A. Marzulli, with Richard Shaw: Further Evidence – with over 40 full-color photos of UFOs, expert witness testimonies, behind the scene shots, and more! “This may be the best UFO documentary I have ever seen!” Bob Ulrich – Prophecy in the News! Watchers 7, is over 80 minutes in length, with riveting, in-depth interviews! Further Evidence, is a 7″ X 10″ oversize book, with startling UFO pictures, like the “Turkish UFO”, which shows “aliens,” inside the craft. See and hear the former Canadian,Minister of Defense, Paul Hellyer, state unequivocally: UFOs are as real as the airplanes flying over head! 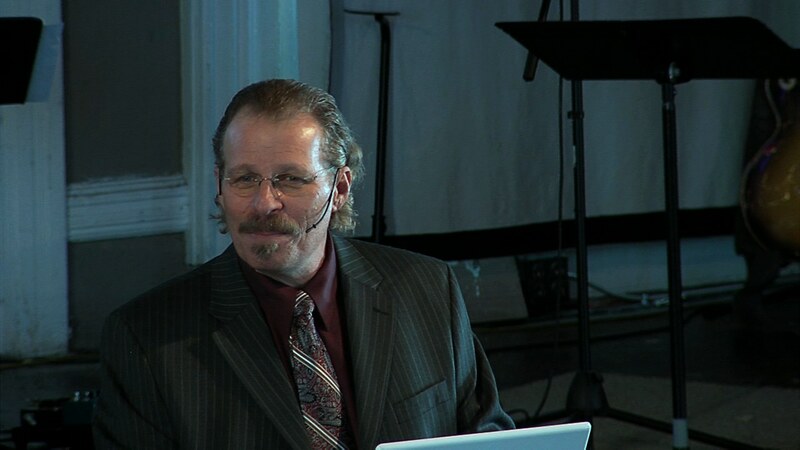 Gary Stearman – Host of Prophecy in the News. Stephen Bassett – Organizer of the Citizens Hearing on UFOs in Washington DC. Cris Putnam – Co-author of EXO-Vaticana. George Filer – Former Colonel and UFO witness. Chuck Missler – Author & Biblical Scholar. Dr. David Jacobs – Abduction researcher. Jamie Maussan – Host of the weekly UFO program seen by over 4 million people in Mexico each week. David Stinnett – UFO researcher. Jim Wilhelmsen – Author and UFO researcher. Jose Escamilla – UFO investigator. Dr. Roger Leir – Implant removal. Steven Colbern – Chief Scientist for A. & S. Research. 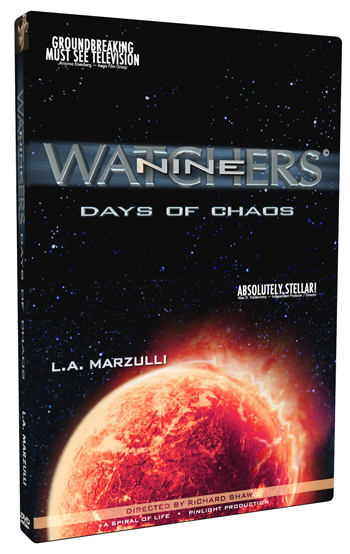 Go to: www.lamarzulli.net to order! The Coming Great Deception…. Wake Up! 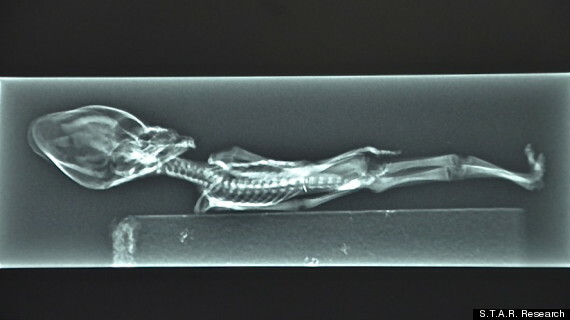 An upcoming documentary promises to show an alleged, tiny “alien” being that was found a few years ago in Chile’s Atacama Desert. And when we say tiny, we’re talking six inches from head to ET toe. I have watched Steve Greer on the History Channel’s Ancient Alien, series and at the end of one of the shows he looks straight into the camera and declares, when ET arrives all the religions of the world will crumble. (This is a paraphrase quote) You know what? He’s right and here’s why! Greer knows that the churches are asleep, and most will not address the ET/UFO question. Here’s proof. I was recently told that a church would not have me come and present my findings and research because I was too controversial. Now I wonder if this church believes in the Virgin Birth, floating ax heads, talking donkeys, coins that appear out of the mouths of fish, water changing into wine, seas that part, men who rise from the dead, and staffs which turn into serpents! When these supernatural events are listed this way, it sounds really, really nuts! Yet, I’m sure if I were to go to this church and ask if the elders and pastor believed in these miracles, they would all nod in agreement! 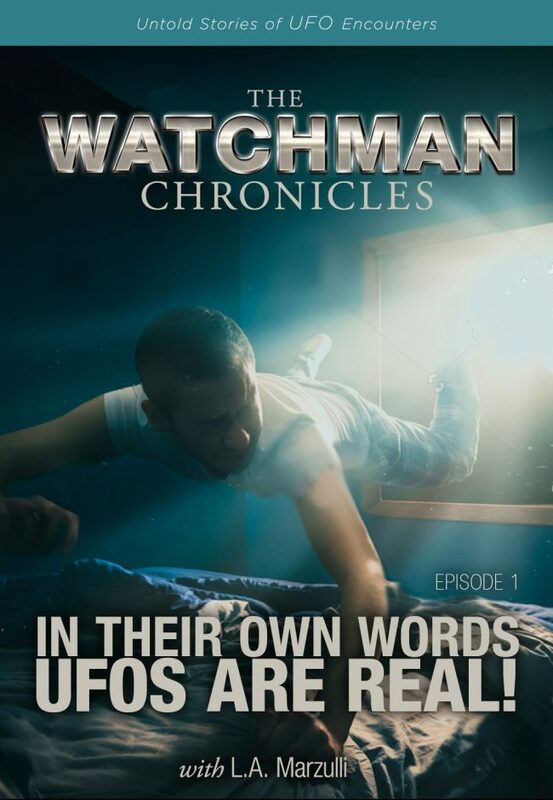 However, for some reason, that I’m still having trouble getting my head around, when we begin to discuss what is manifesting now, specifically the UFO phenomena, these same people hide under their Bibles. Greer’s movie is getting a lot of PR and the showing which will be held in Los Angeles is sold out. He’s steering the conversation with this film. He’s promulgating the Ancient Astronaut scenario, which is we have been visited by extraterrestrials for millennia. Unknowingly, I believe Greer, and others of his ilk are buying into the Great Deception, which is that ET created all life on this planet, they genetically manipulated early man, started the worlds civilizations, religions, and now, at this critical juncture in human history, they have returned to usher us into a time of peace, prosperity, and knowledge. In closing todays post: Without sounding self aggrandizing, let me say that our Watchers Series was created to counter the X-opolitic crowd. There is another explanation to the UFO phenomena as well as this small being that Greer is touting as proof of the existence of ET. It is the concept that the Fallen One has been tampering with the gene pool since the days of Noah and continues to do so today. He wants to create man in his own image. You will notice the elongated head in the picture above. We found the same elongated head while we were in Peru. Scroll down and look at the skull on the cover of my new book! We have the counter argument to Greer, and it is Biblically based. 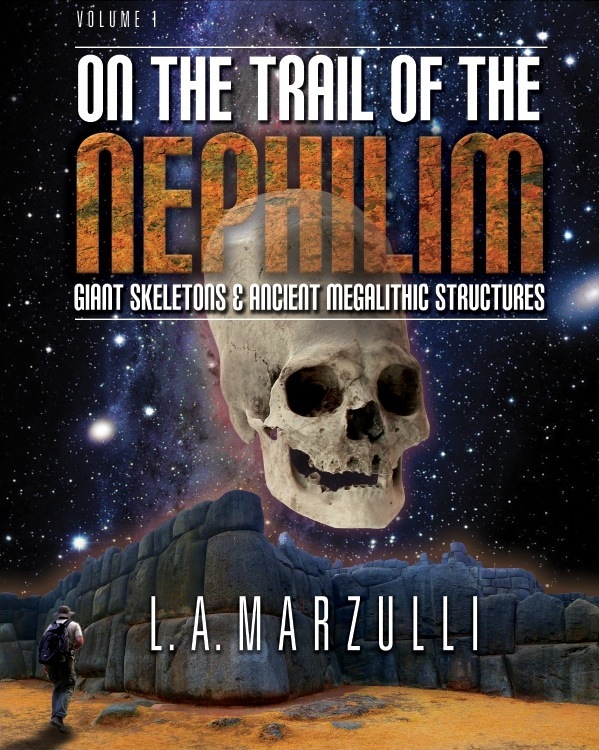 The Nephilim were here and also after when the sons of God came into the daughters of men. 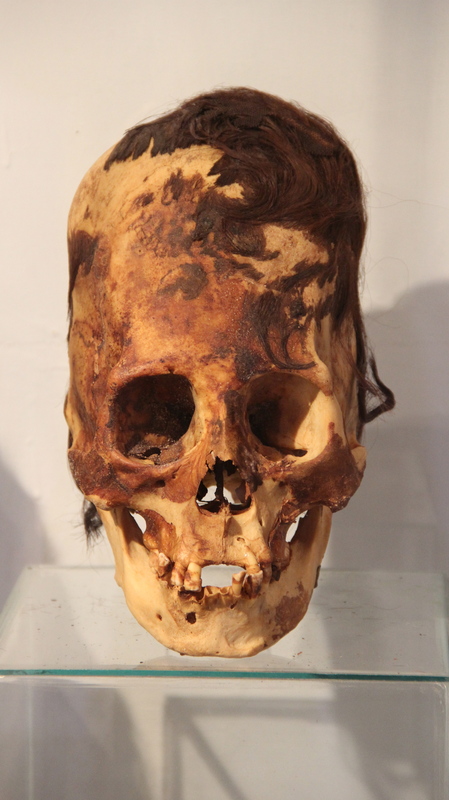 Here is one skull which we handled, weighed and photographed while in Paracas, Peru. We are doing DNA testing on the hair sample we were allowed to take, and so far the results have been very interesting. This skull is over 2000 years old and came from the Chongos Necropolis, which I discuss at length in the new book. It has only one parietal plate instead of the two, a normal skull would have. The eye sockets are larger and the mandible, or lower jaw, is more robust. This skull is NOT the results of cradle head boarding! 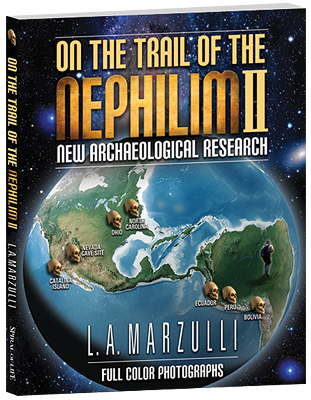 On the Trail of the Nephilim should be released around May 1st! It has over 120 full color photographs and is an over-sized book @ 8.5″ X 11″! Riveting, informative interviews with Aaron Judkins, Richard Shaw and Fritz Zimmerman! I’ll give you all a hint, what we found in Peru was mind-blowing! some dots that other researchers perhaps have overlooked. We handled and photographed elongated skulls with certain physical anomalies that are detailed in the book! We visited megalithic sites which I believe were the remains of the Fallen Angel and Nephilim architecture! I crawled into a cave where I saw ancient human remains! We went to the privately owned Chongos Necropolis, a 2000-year-old cemetery where the elongated skulls were found. I believe this book will break new ground in regard to the Nephilim and also the words of Jesus, when he warns us it will be like the days of Noah when he returns! 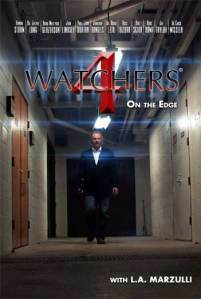 Watchers 6, is in Post Production with a release date of, sometime in MAY! We’re doing our usual pre-sale so you save $5.00. Go to www.lamarzulli.net and order! As fireworks lit up the heavens above the Olympics opening ceremony, watched by around a billion people, something else was seen among the whizz-bangs in the night sky… a UFO. It may have ticked all the cliche boxes – saucer-shaped, bulge in the middle, metallic – but no one has yet stepped forward to explain the slow-moving object. UFO expert Nick Pope predicted aliens would appear at the Games. OK – Let’s get it over with. UFOs are real burgeoning and NOT going away. 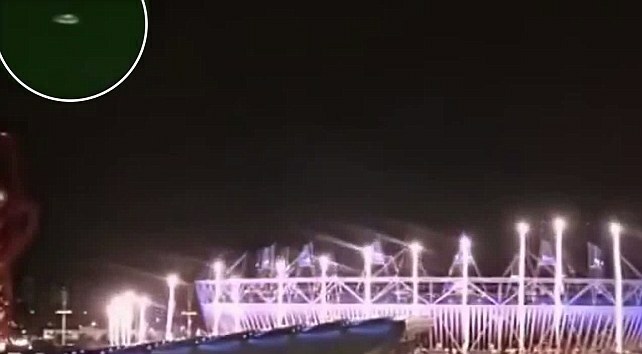 Was this the real deal over the Olympic stadium last week? Here’s something to consider. 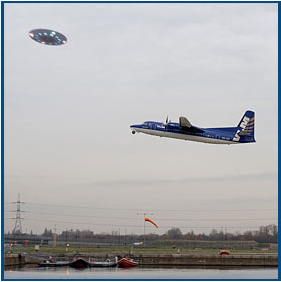 If the photo is real than once again we have UFOs moving about with impunity, they come and go as they please and no one, not even the military might of the UK, who had the area under high surveillance, can stop them. Can you imagine if the craft did a close up? In other words parked itself directly over the stadium, when half the world was watching the ceremonies unfold via satellite? I can hear the pundits now. Well Bob, the Aliens are not expected to do well in this event! That’s right Ted. They had trouble in the last heat and barely qualified for the semi finals. We’ll be right back, but first here’s an important word about the new judges for the up and coming season of American Idol. IF, the UFO was real it reinforces our position here that “they” are playing a cat and mouse game with us. They are waiting for the right moment to reveal themselves, openly. I call this revealing, The Coming Great Deception. It will be a game changer and with Darwinism firmly in place and believed by the masses, it will provide the missing link as it were. These entities will present themselves as our creators, our designers, who at this critical juncture in our evolution have returned to guide us into a time of peace, prosperity, and a new age of enlightenment! How many folks will believe the strong delusion, as my friend Jim Cunnigham calls it? In closing todays posit: When “they” show up, I believe they will give mankind two gifts. The first will be free energy. The energy that powers the craft will be given to us and oil will be a thing of the past. 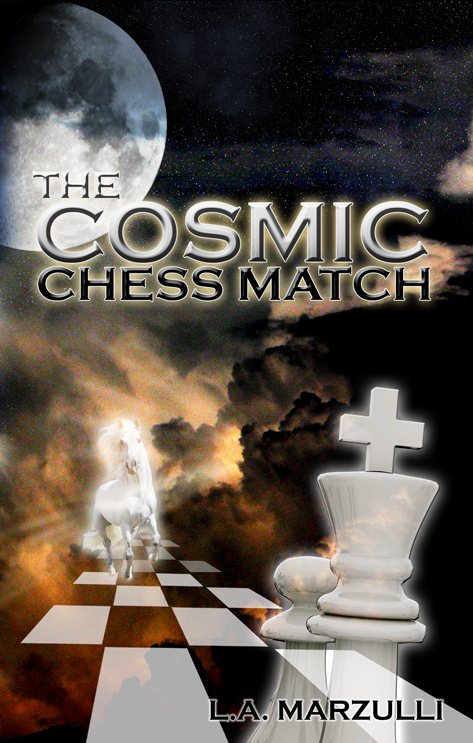 The second will be a DNA “upgrade.” However in my book, The Cosmic Chess Match, I equate this upgrade with The Mark of the Beast. In other words this mark or DNA changing machine that will be implanted, will change the hosts DNA making them Nephilim. They’re here and they are NOT going away! Be still and know that I Am God: Behold, the day is coming when I will show my strength on the mountains of Israel. Bravo gents! You’ve bloody well done it again. Riveting, compelling and Rick, beautifully shot. Love, love, love it. Now….what’s next chaps???????? Thank you for the quick shipment of Watchers 4. 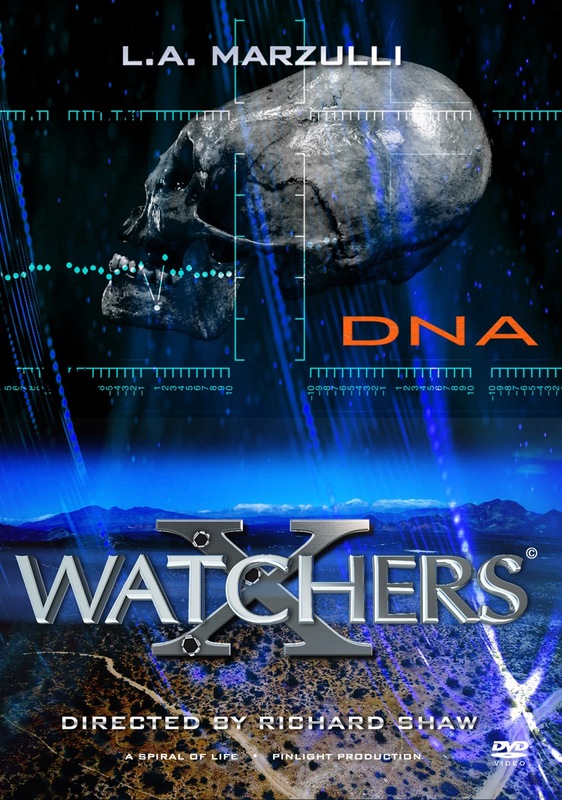 My family are big Watchers fans and we are new fans. I caught the Sid Roth show that had L A on. It is the first time I had seen or even heard of him. I was just fascinated and called my family and asked them to watch when it replayed the next day. In fact, I called them a second time to make sure they didn’t forget. Their reaction was the same as mine. 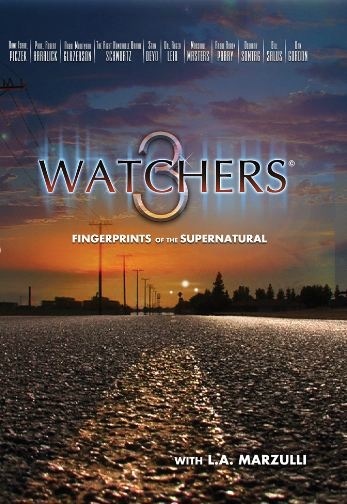 I ordered the 3 Watchers DVDs and 3 of L A’s books. 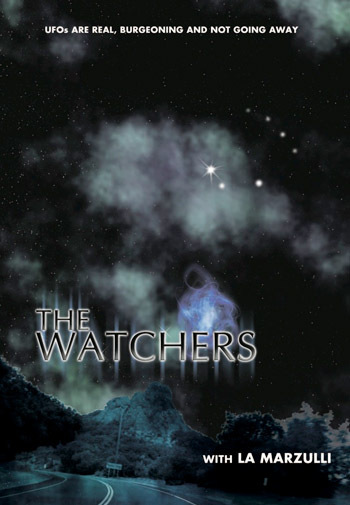 We had a Watchers marathon and loved every minute of it. It was the first time I had heard someone speak about the unusual and bizarre events happening around the world. A person knows when they hear “truth”. I think that is part of the pull Jesus had when he addressed the crowds. 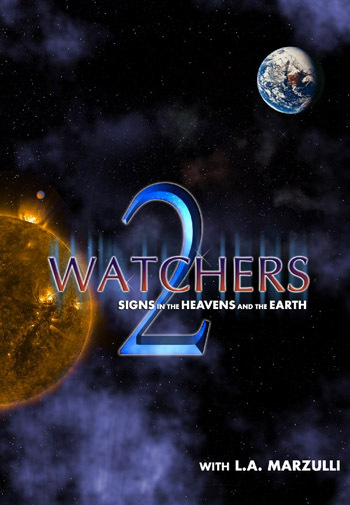 So back to Watchers 4. There are three of us and we watched it together. My sister liked the Near Death experience interview the most. She said she could watch an entire DVD just on that. (I could too). My brother-in-law is all ears when the Dr who removes the Alien implants is on. 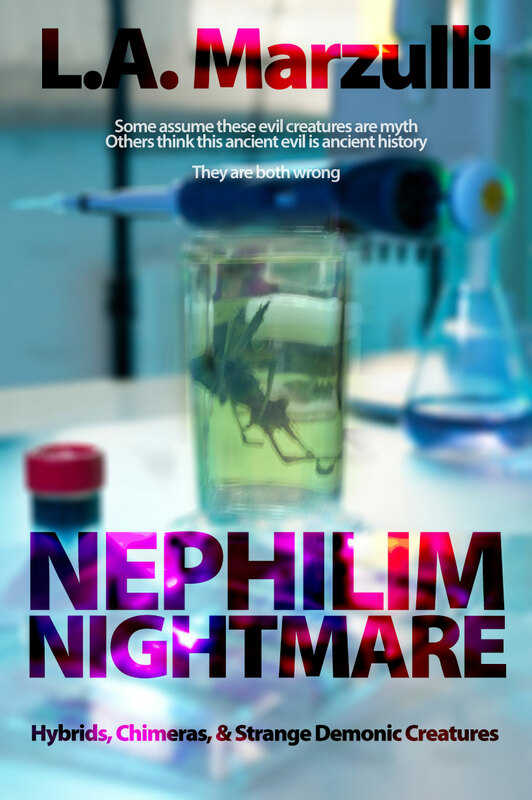 I liked the hunt for information on the Nephilim. We all agreed on one thing. We were shocked on how time flew and the DVD was over! Over the weekend we had some people donate to the Chitzen Itza trip! Thanks to you all! We now have $9,500.00 our goal is $12,000. Donate now by going to the right side of this page and clicking DONATION. I won’t go alone on this trip! L.A.
September 29: Newark Ohio with Russ Dizdar & Richard Grund! October 6: Cavalry Chapel Albequerqe – Details coming soon! October 26- 28: Fredrick Maryland with RANDY DEMAIN! Western N. America faced Mega Drought! UFOs and the Church: Don’t confuse me with the facts! This was posted in the comment section yesterday … It speaks volumes! 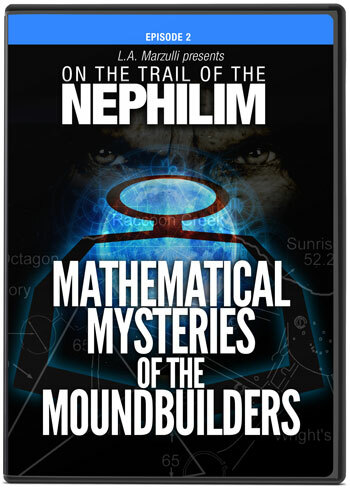 I have written 5 books on the subject of UFOs and the Nephilim, not to mention hundreds of articles and numerous radio interviews and television appearances. However, I have never been asked to speak at any church, not one! As I have mentioned before, I sent out a P.P.&S. book along with a DVD to about 60 churches around Southern California. I never received one response, not even an email. 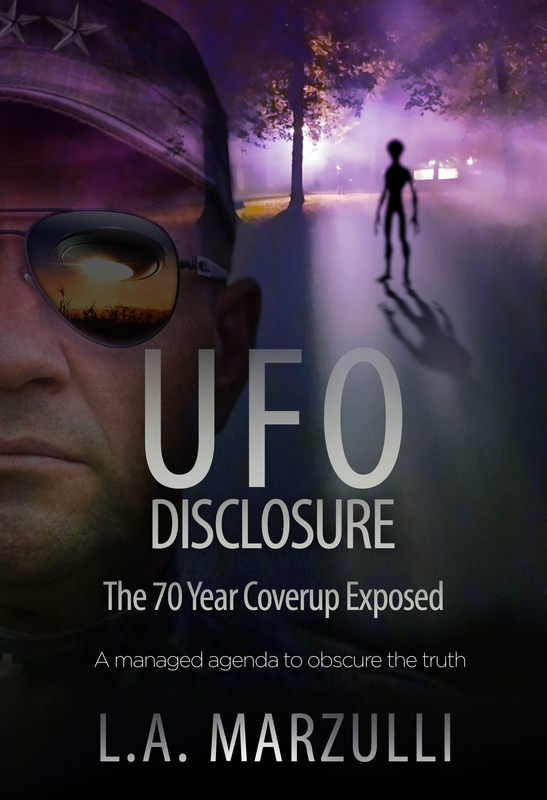 You would think with all of the movies, television shows, and programs like UFO Hunters, and documentaries on the subject, that the church at large would at least show a modicum of interest. Sadly, this is not the case. The all to familiar laughter, ridicule and dismissal by our so-called leaders speak volumes. As in the case with the pastor above, his head is in the sand! Don’t confuse him with the facts. UFOs are manifesting in our skies, with impunity and the sightings are increasing. The supernatural – UFOs – is manifesting like never before. The Vatican is talking about E.T. The U.K. has released files regarding the UFO presence, and there is pressure on our president to finally spill the beans – full disclosure – in this country. What I want to point out is this. When disclosure happens, it’s too late. Pastors everywhere will be back-peddling, and their congregants will ask, “why didn’t you warn us?” You see, at that point the toothpaste is out of the tube and you’re not going to get it back in. Nothing has changed in thousands of years. While pastors point out that the Pharisees didn’t recognize the Messiah, these same pastors won’t recognize those that the Lord has placed as watchmen to warn His people. What of Dr. I.D.E. Thomas, Dr. Mike Heiser, Dr. Stephen Yulish, Jim Wilhelmsen, Joe Jordan, Guy Malone and last but not least, me, your humble Blogger? All of us have written on the UFO phenomena as a warning! UFOs are real, burgeoning and not going away. The alien Gospel is being promulgated all over the planet. Just look what Rael and the crew are up to! If you go to the link above notice how many languages the book is in! Here’s what they are saying: The Raelian Revolution is boldly bringing about a complete paradigm shift on our planet. The Messages given to Rael by our human Creators from space contain the world’s most fearlessly individualistic philosophy of love, peace, and non-conformism: a beautiful combination of spirituality, sensuality, and science. This is only one example of the deception that is all around the church. Do you see what Real is syaing? He’s pointing out the fact that our human creators were ALIENS! Sadly the pastor mentioned above has no clue and is not even willing to listen with an open mind about the ongoing deception. In the meantime studies show that many of our youth are leaving the church and wind up embracing cults like the Raelians and others. The facts are that UFO sightings, cattle mutilations, crop circles, abductions and general, “high strangeness,” continues in increasing numbers. 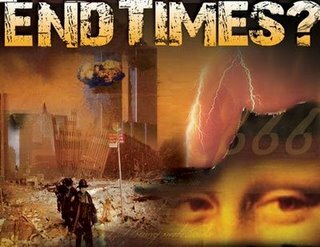 When, not if the revealing happens there’s going to be a lot of explaining to do, but by then the deception will have been sprung and as we are warned, even the elect would be deceived…. Hey! Christmas is coming and what better way to inform your pastor or loved of the coming great deception then by giving this book as a gift. It also helps me continue to research and write. This is all I do. I’m not asking for a donation, but if you buy our books and other products it sure helps! Full Disclosure? The Luciferian End Game! Here’s a post from our comment section. I want to take the time to address this point by point, as this ties in with what some are calling, Full Disclosure of the so-called extraterrestrial presence. THE MAIN REASON FOR UFO SECRECY IS RELIGION FOR THERE IS NO GOD AND GOVERNMENTS ARE AFRAID TO RELEASE THIS INFORMATION FOR MOST RELIGIONS ON EARTH WILL IMPLODE (that’s probably a very good thing since we are killing each other in the name of god). WE WERE SCIENTIFICALLY CREATED BY EXTRATERRESTRIALS. All life on earth was a genetic creation with DNA design by extraterrestrials. We will also someday soon be able to also go to distant planets and scientifically create life. Our created will see us as gods for they will not be able to understand our scientific advancements and capabilities. We must embrace science as the supreme god of the universe. Now let’s strip this down and examine it point by point. The statement that there is no God falls of its own weight as is shown by Pascal’s wager (http://plato.stanford.edu/entries/pascal-wager/) for it is just as easy to declare that there is a God. The interesting point here is that prophecy, shows us dramatically that there something outside our time-space domain that is capable of telling us what will happen, a priori, or in advance, of the event. If prophecy is being fulfilled, then how do we dismiss it and say that it doesn’t mean anything? This begs the question, who is behind the prophecy? The idea that we were created by E.T. is nothing new to those of you who read this BLOG. This is one of the points of what I have come to call, The Alien Gospel. In other words this is the lie, the strong delusion, that the Bible speaks of. Remember that Jesus declares that even the elect would be deceived if that were possible. And I want to make something very clear here – I’m not talking about religion! The statement that all life DNA was created by E.T. is again, part and parcel with the coming Great Deception. We choose to believe that the God of the Bible created, ex nihilo – from nothing – the entire universe, as we know it. We have the miracles that are attributed to Jesus that show us that he was able to manipulate matter and energy in ways that we know nothing about. We also see that when he fed the 5000 he was able to produce fish that had age. People weren’t eating minnows! In closing today’s post. I received a few Emails that pointed to Full Disclosure before the end of the year. If some UFO manifests somewhere on the planet we will have only two choices. The first will be to embrace this “new truth,” and accept the Alien Gospel. The second will be to say that this is nothing short of spiritual deception that was prophesied thousands of years ago. It is the strong delusion, the lie, the Great Deception and we will not be deceived! The sub-title of the book is: The Coming Great Deception and The Luciferian End Game! With comments like the one I discussed today, can Full Disclosure be soon? Time is short. Please get your copy or buy one for a friend.